Instead of spending February 14 with Ez at our favorite restaurant downtown, I had an interestingly intimate Valentine's Day -- or V-Day, I should say -- with hundreds of my newest, closest friends halfway around the world. 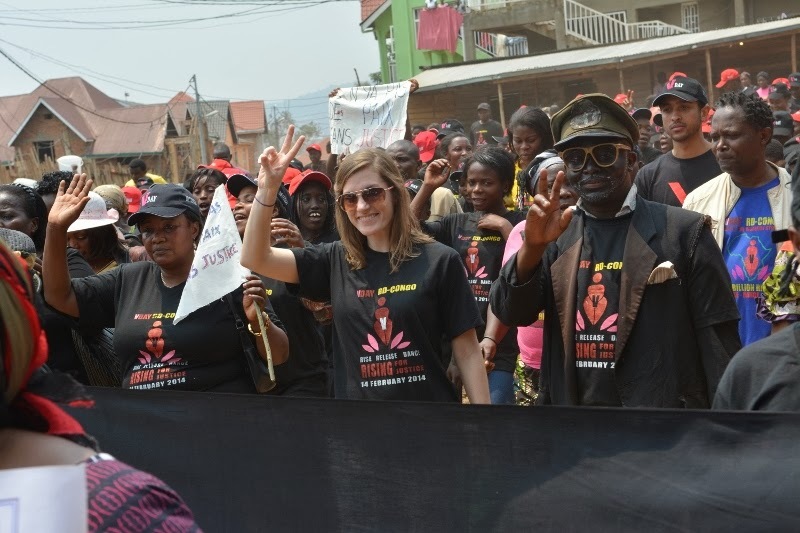 I joined the V-Day One Billion Rising for Justice rally in Bukavu, DRC. We paraded, danced, sang and shouted our way through the city, calling for the end of violence against women and girls. While I was content to hang back in the crowd and soak it all in, my Congolese colleague (holding the white flag) grabbed me by the arm and said, "No no, Emily. To the front!" What a good reminder to be bold about the things I believe in. To the front we went. Somehow I ended up next to this guy with amazing glasses, whom I later found out is part of a well-known acting duo that was performing at the festivities. The guy in the blue shirt behind us is one of the most famous singers in the Congo. It pays to be bold! This has been such a great trip. I'm writing this from a cockroach-infested missionary hostel out in the bush -- complete with cold, brown shower water and free wifi -- and I feel awesome. Even though I miss my family so much and am still saddened about some severely malnourished children I met today, I'm feeling energized and ready to take on the world. It turns out that pushing toward the front and taking cold showers are require pretty much the same type of courage. Funny how important the internet has become to people in a short 25 years of it's existence, to people with running brown water. Sad but true: Internet, albeit slow, is much easier to get than good water! 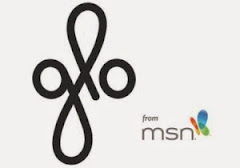 Fewer infrastructure issues.